In Italy you can get tired of eating pizza and pasta very quickly. Because of limited Halal restaurants in Venice, you sometimes crave for some Middle Eastern food. 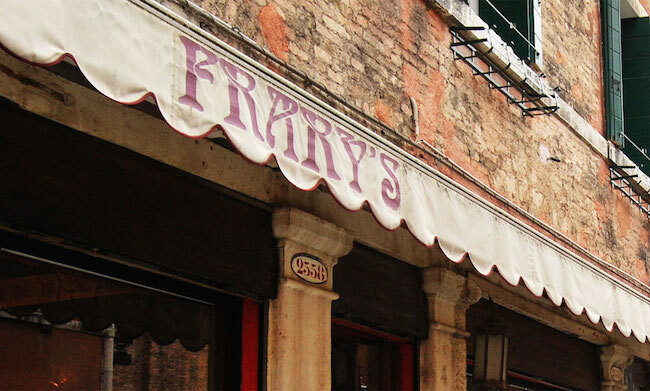 While it is not a full Halal restaurant, according to their manager, Federica Lazzara, Frary’s restaurant in Venice serves several halal dishes with chicken and can also provide Halal lamb or beef dishes for groups if they are contacted a few days in advance. The restaurant can accommodate a maximum of 35 guests. Couscous with chicken, Jordanian Magluba, Chicken Honey Tajine, Moroccan Chicken Prunes Tajine, Mansaf and Chermula - chicken marinated with mint, lemon and black olives. Stuffed grape leaves and falafel are also available. Prices range from about Euro 15-18 per dish. Please note that while this restaurant does not serve pork, it does serve non-halal beef and lamb. It also serves alcohol. It is always advisable to enquire if the chicken is Halal before you place an order. The restaurant is a short walk from the Rialto Bridge.